Imagine being able to come home from work or school and cast a line for a Murray cod in metropolitan Melbourne. 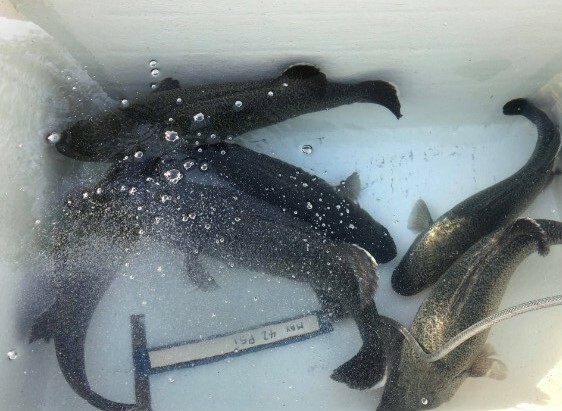 Well, you can stop dreaming because for the first time ever we’ve started stocking urban lakes with catchable size Murray cod, golden perch and silver perch! These catchable sized fish will provide immediate fun for mums, dads and kids who want to chase them on bait, lure or fly over the summer months. These new native fish stockings complement existing trout stockings that take place for the school holidays in the cooler months. We know that Murray cod, golden perch and silver perch go much better in the heat than trout, so anglers big and small will be able to experience the thrill of catching a mixture of species year-round. We reckon reeling in a fish beats screen-time any day of the week! Urban lakes on our native fish stocking agenda include: Karkarook Lake, Casey Fields, Roxburgh Park Lakes, Navan Park Lake, Lilydale Lake, Rowville Lakes and Melton Reservoir. We’ll be stocking all these waters with Murray cod, golden perch and silver perch soon. Check out the table below to keep up to date with our progress. Stocking more native fish in urban waters is a key State Government commitment and part of our Target One Million plan to get more people fishing, more often. Stay tuned for the remaining 5 lakes and reservoirs!